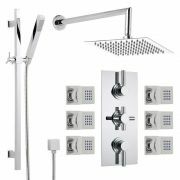 Create a timelessly elegant bathroom appearance with this beautiful two-outlet shower system from Hudson Reed. 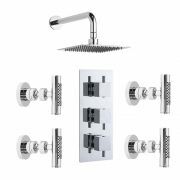 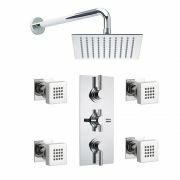 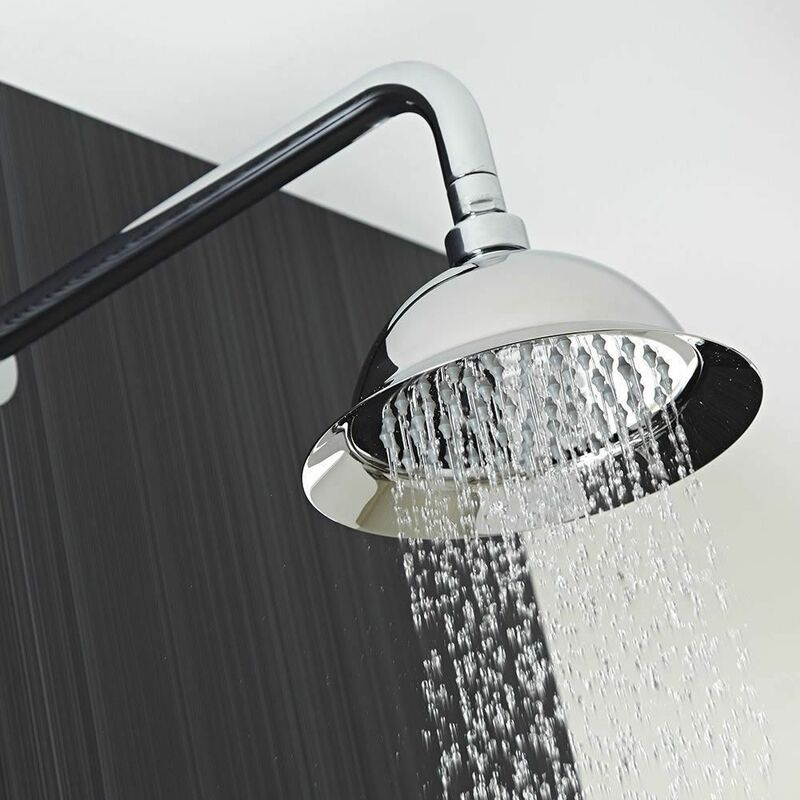 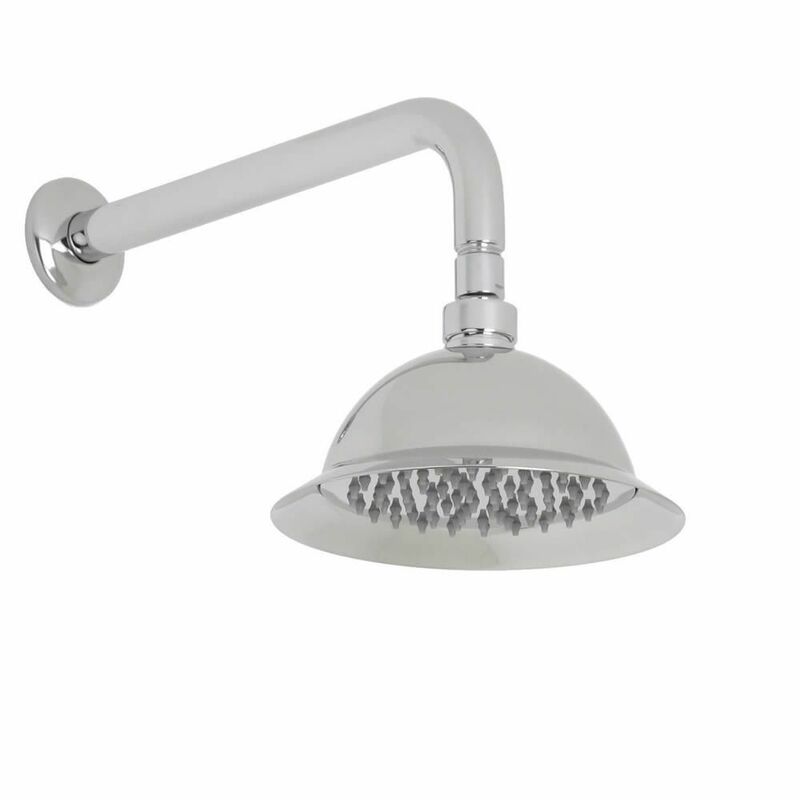 The traditional shower kit is supplied complete with an 8” shower rose head and wall mounted arm, six body jets and shut-off valves. 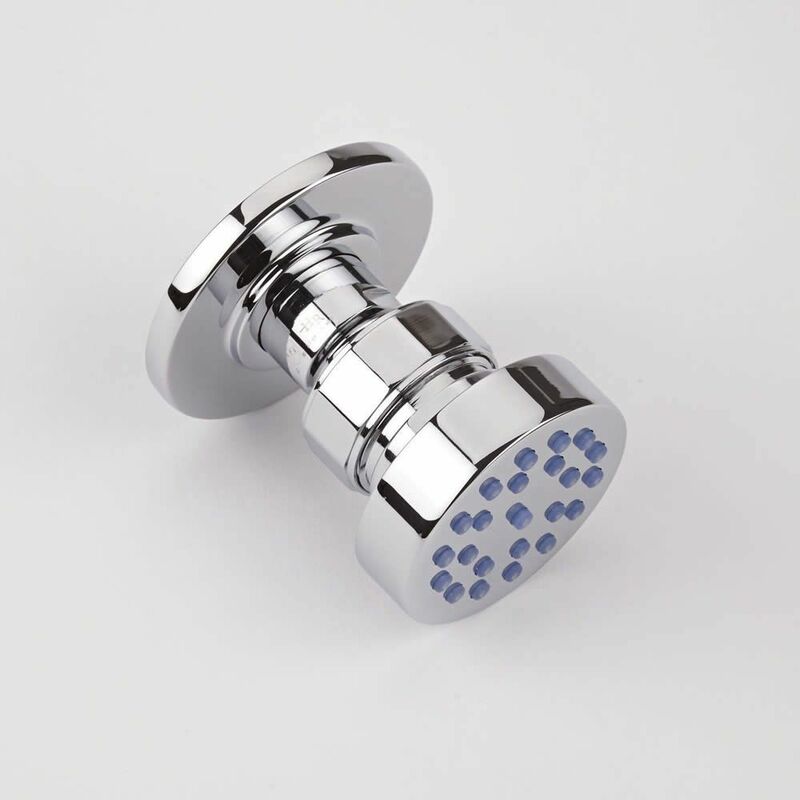 Exclusively engineered in Great Britain from solid brass, the durable shut-off valves feature an in-built anti-scald device to guarantee a safer showering experience. 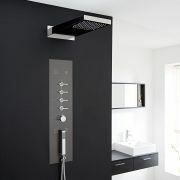 They also utilize ceramic disc technology to deliver smooth and precise control over water temperature and flow, and enable the user to enjoy the sensation of multiple outlets at once.